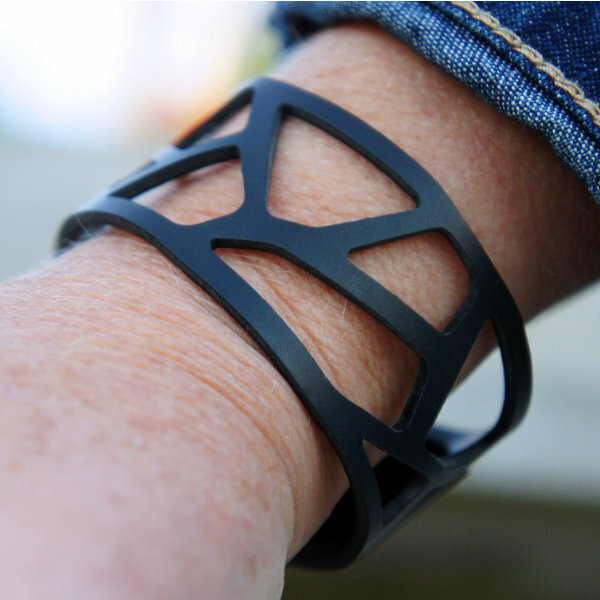 Fashion silicone bracelet with the raw and matte worn fashion style. 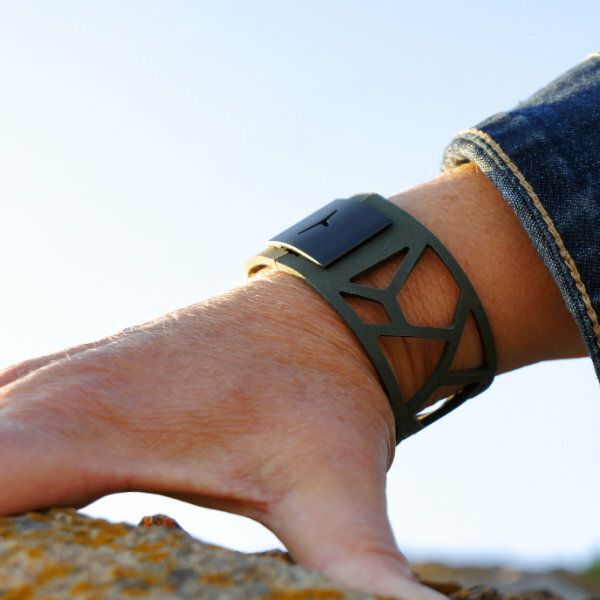 Quadra bracelet have a naturally wrist fit, due to its flexible silicone rubber, smooth to wear and easy to clean to be a unisex fashion wristband. 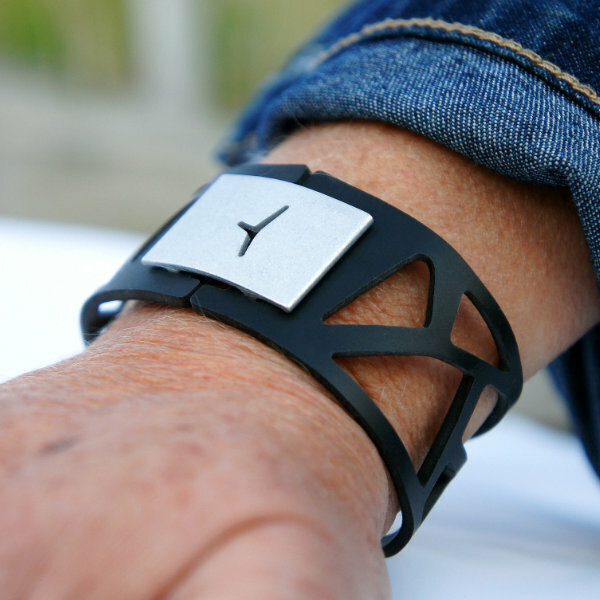 Quadra is a contemporary fashion silicone bracelet with the raw and matte worn fashion style. 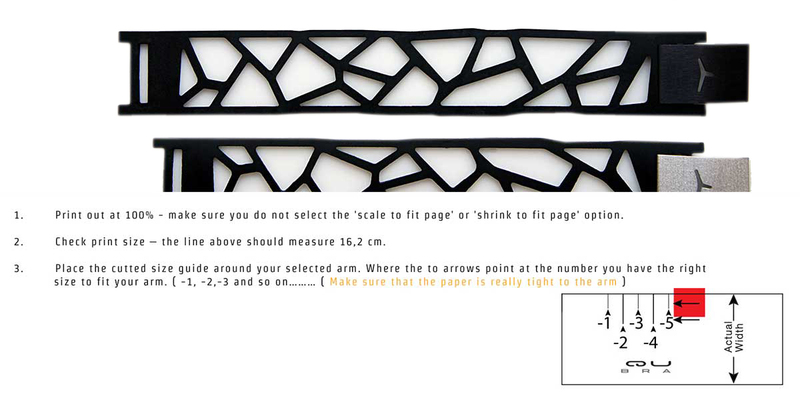 where the irregular pattern gives an open look and with an minimalistic feel, and with touch of industrial and art design. 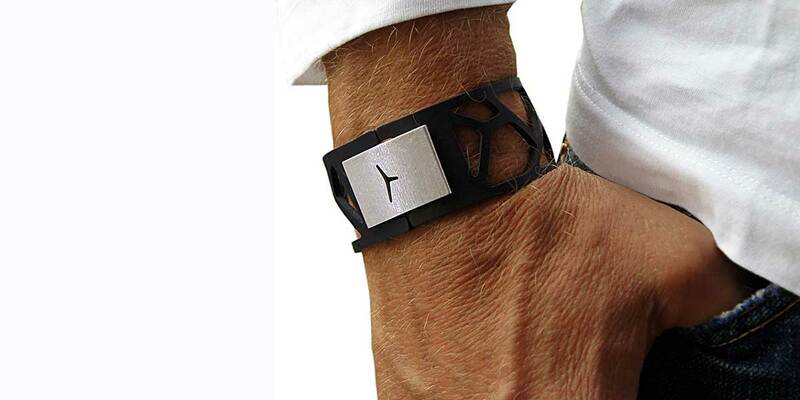 Fashion silicone wristband with an pattern who is like an open space between human skin and fabric. 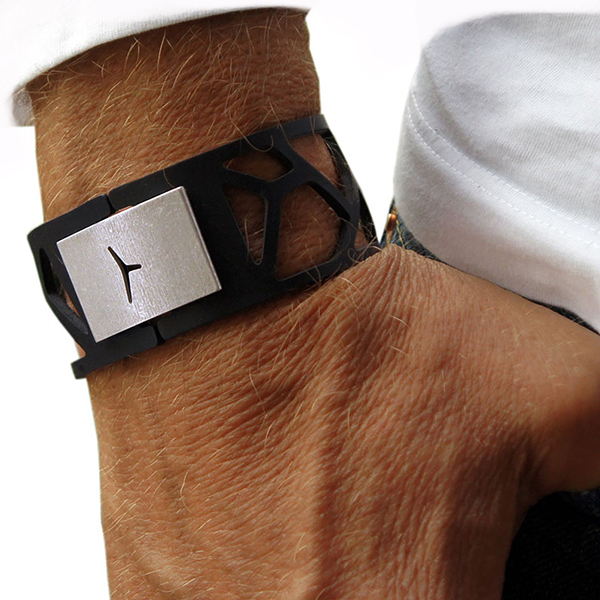 This brand new rare silicone bracelet lets move around and you can bearly feel that is on your wrist. Made in sweden in a small workshop directly by the designer. 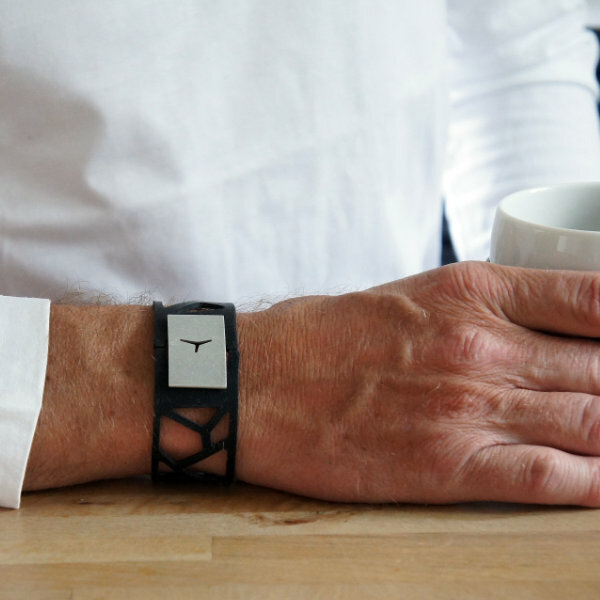 This silicone wristband is food approved and meet the highest demands in Sweden. 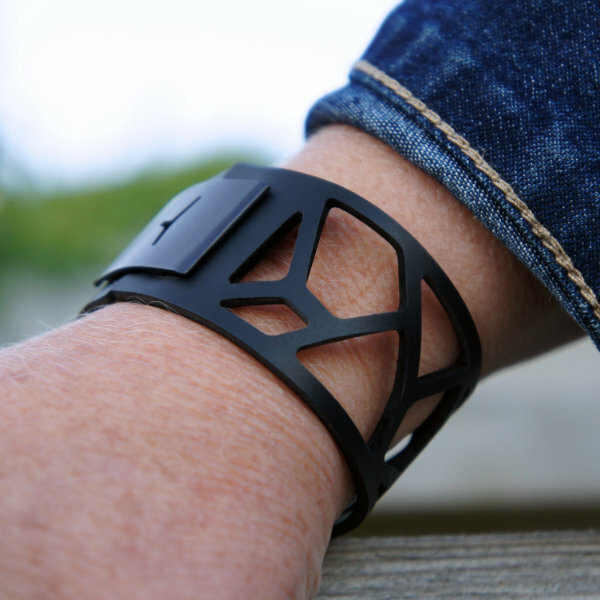 Black bracelet in silicone rubber fits really good to denim. The silicone rubber is easy to clean with just mild soap and water. The fitting is in high durable aluminum which is resrtant against salt water.